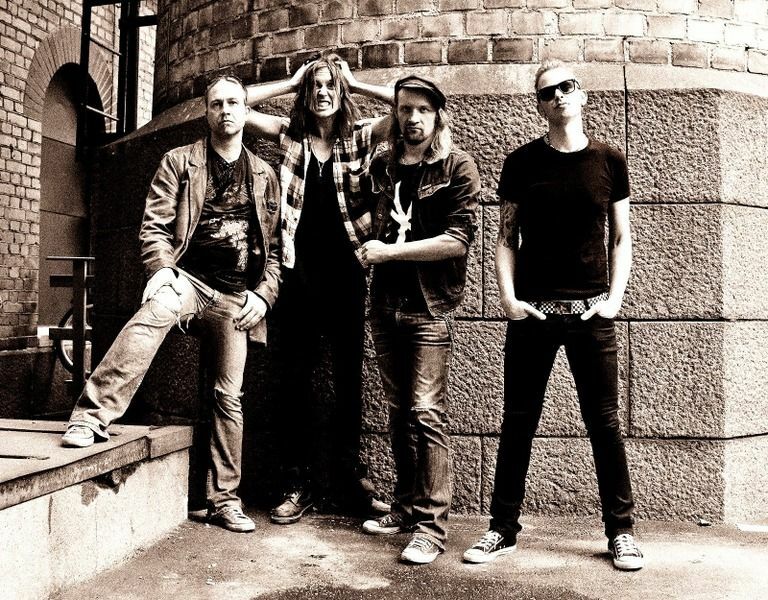 Swedish melodic rock band was formed in Stockholm in 1999 by singer Erik Mårtensson. After having produced a 4 track demo himself, he landed a deal with the English located Z records. To produce what was to become the first Eclipse album,he completed the line-up with Magnus Henriksson (Lead Guitar) & Anders Berlin (Drums & Keys). The first album “The Truth & a little more” was completed and released in 2001 on Z records. It also included guest performances by the legendary Europe guitarist Kee Marcello and Mats Olausson (ex Yngwie Malmsteen) In 2003 they landed a deal with Frontiers records and released their 2:nd album “Second To None” which was a highly critically acclaimed album among the melodic rock audience. 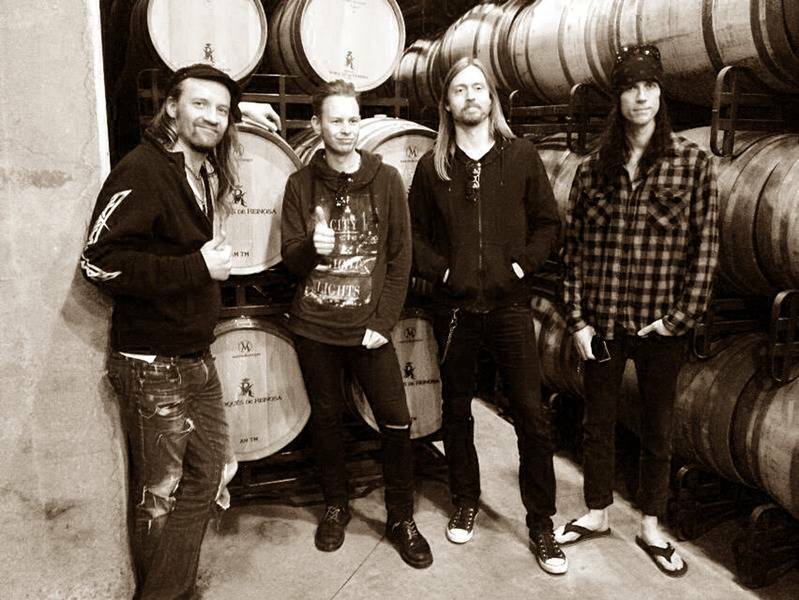 This time the line-up featured Erik Mårtensson, Magnus Henriksson, Fredrik Folkare (bass), Magnus Ulfstedt (drums) and Mats Olausson was once again hired as a “stunt-keyboardplayer” in the studio. The album promised to appeal to all fans of such bands as Talisman and Europe due to the heavy guitar approach and the big melodies of their songwriting. Also this record got very well reviewed in the melodic rock audience and created a faithful and strong following for the band. Due to difficulties within the band and line-up changes again, the band took a couple of years off and it wouldn’t be until the summer of 2007 before they started working again. Erik Mårtensson & Magnus Henriksson (who were the surviving members of the band) took 1 week off and wrote the entire album in those seven days. Once they knew what direction to head for, it was quite easy. This time the band had gone for a straighter, classic and riff oriented hard rock. 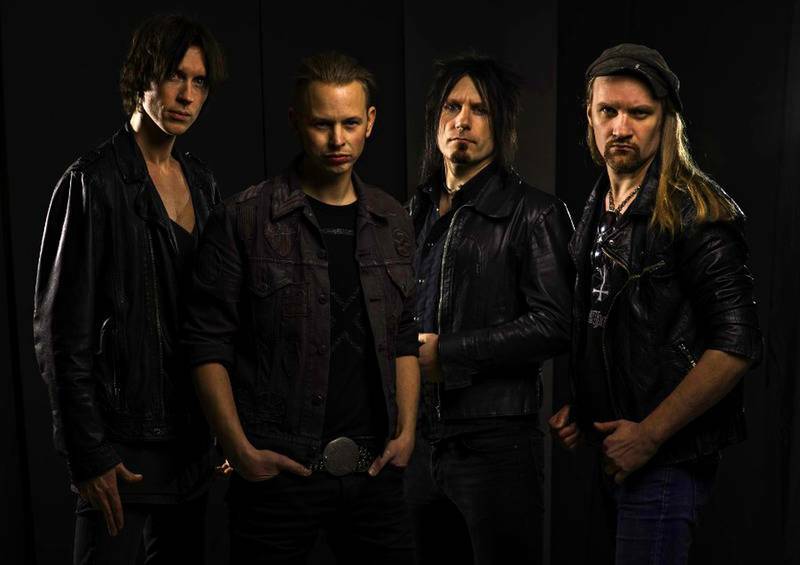 The title for their next release on Frontiers records will be “Are you ready to rock” and the new rock steady line-up of 2008 features Erik Mårtensson, Magnus Henriksson, Robert Bäck – drums and Johan Berlin – Keyboard. And they are ready! 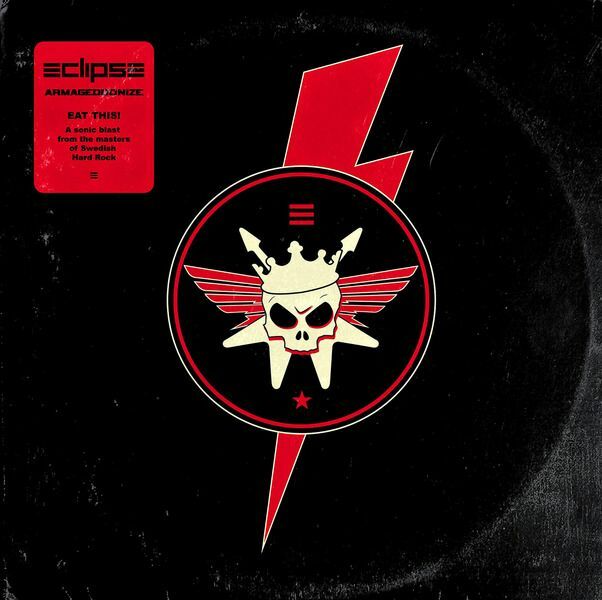 Stockholm-based Hard Rockers ECLIPSE will release their fifth album “Armageddonize” on February 20th in Europe and February 24th in North America via Frontiers Music Srl. Recorded and produced by the band’s main songwriter and singer Erik Mårtensson and lead guitarist Magnus Henriksson, this new release sees the quartet ready to unleash 11 monster slices of melodic, yet hard-hitting, Rock on their ever growing fan base!In the second half of 2014, ECLIPSE teamed up again to write their new studio album. The bar was set high and the initial goal was to top their latest album and the result was achieved brilliantly with the aptly titled “Armageddonize,” an album where the band rocks from start to finish like there is no tomorrow!Says guitarist Magnus Henriksson: "No ECLIPSE fan will be disappointed. I guarantee that! Eclipse fans are very open minded and have always embraced the fact that this band is constantly evolving for the better. We have some surprises on ´Armageddonize´ that the fans might not expect. We became better songwriters on each album we did and Erik on this one sings better than ever. It´s incredible how he keeps getting better. I thought we had heard the best from him, but no. You´ll be surprised to hear how damn good he sings! "With “Armageddonize,” ECLIPSE are showing that they are not anymore the brightest hope for Melodic Hard Rock music, but a truly solid and hard as a rock reality. They are still young, ambitious and full of energy. ECLIPSE music is not a revival, and it’s not nostalgic. Still… it’s by far the best you can have today if you love rock music with energy, great songs, and want to hear a band that has the ambition to be on top of the world!With the release of their fourth album "Bleed And Scream", ECLIPSE gained a solid reputation and a steady following with this album that took their melodic Hard Rock roots in a more contemporary direction. Producer and main songwriters Erik Mårtensson and Magnus Henriksson strongly improved their skills by writing and producing a vast amount of bands and projects, from the successful W.E.T. albums (together with singer Jeff Scott Soto and Robert Säll from Work of Art) to Toby Hitchcock, Giant, Jimi Jamison, Dalton, Adrenaline Rush just to name a few. This has gained Mårtensson a reputation as one of the top producers/songwriters in this genre today.Concludes Magnus: "We started as a band with all kinds of influences, but I think on our third release ´Are you ready to rock´, we started to work more on the songwriting and the ´ECLIPSE´ sound finally took its shape. I think you can hear that most distinctly in the song ´How to mend a broken heart´. That style of songwriting is very Eclipse and it rubbed off a lot on the W.E.T. sound as well, particularly on songs like: ´One love´ and ´Walk away´. On ´Armageddonize´ our style is chiseled out and it sounds more Eclipse than ever. We´ve got our own unique sound now. No other band sounds like Eclipse today and we wanna see where we can take this band. I know we´ve got so much more in us. The sonic blast is here to stay!!"